It’s hard to pigeon-hole Enver Krivac, the multidisciplinary artist whose unique artistic vision and expression have garnered him critical acclaim across several disciplines. 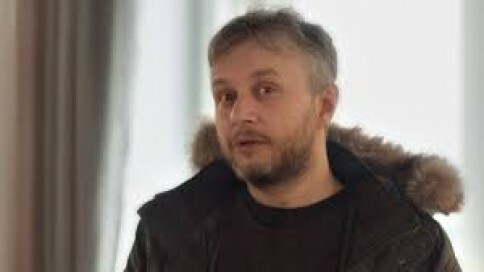 Born in Rijeka in 1979, Krivac splits his time between writing fiction, composing and producing music for both theater productions as well as for the musical collective he belongs to, Japanski Premijeri (The Japanese Prime Ministers), and drawing comic strips. His collection of short stories, Ništa za pisati kući o (2013) (Nothing to Write Home About), won the national Prozak award, which honors talented young authors. His writing style has been described by critics as playful and imaginative. (Krmpotić, Marinko, “Ništa za pisati kući o: Vedrija i tamnija strana života”, novilist.hr, 28.8.2016). His short story, Čekaonica (The Waiting Room), is a surreal meditation on the experience of the doctor’s waiting room, a world one involuntarily enters and dedicates ample time to when participating in the public health system. The story is part poetry, part keen and often humorous observation, all seen through the eyes of a seasoned artist whose original perspective jolts the reader from the banality of everyday experiences into the realm of the extraordinary. Read Krivac’s short story, The Waiting Room, below.